Norwegian today launched the world’s first female-driven in-flight entertainment comedy channel in an exclusive partnership with the online comedy platform PYPO, Put Your Pretty On. This is the first of many exciting milestones that will come from this partnership throughout this year. 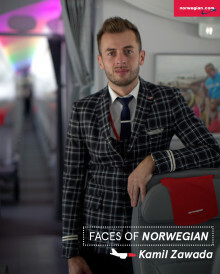 Norwegian, the World’s Best Low-Cost Long-Haul Airline and Airline of the Year 2017, was today named ‘Value Airline of the Year’ by Air Transport World, the leading monthly magazine for the airline industry, and will receive the award at the ATW Airline Industry Achievement Awards on March 28. 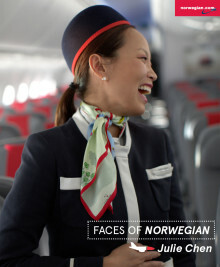 Norwegian today launched its service from Oakland to Rome. The airline now operates six routes to Europe from Oakland International Airport, with its nonstop service to Paris launching on April 10. 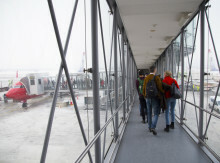 ​Norwegian reported its highest ever passenger figures in a single year with more than 33 million passengers and a load factor of 87.5 per cent in 2017. The launch of 54 new routes and a substantial increase of intercontinental traffic contributed considerably to the growth. Geir Karlsen is named Norwegian’s new Chief Financial Officer (CFO). 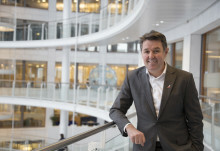 Norwegian’s acting Chief Financial Officer, Tore Østby, continues in the Group Management in a new position as Executive Vice President Strategic Development. Kurt Simonsen joins the company as Chief Information Officer (CIT). 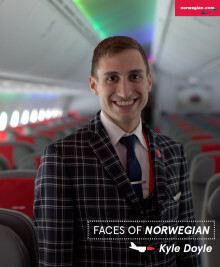 Norwegian today announced it will launch four new routes from the United States to Europe: New York City/JFK and Los Angeles to Madrid, Spain; New York City/JFK to Amsterdam, the Netherlands; and Los Angeles to Milan, Italy. 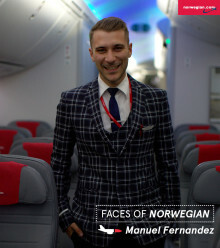 Norwegian will be the only airline operating year-round nonstop flights from Los Angeles to Madrid and Milan.